Moving is hard enough when you’re only going down the street – or even from Miami to Fort Lauderdale. But when you are moving several states away, or all the way across the world, it becomes an even bigger challenge. You can’t make easy trips back and forth between homes if you are moving thousands of miles away – you only get one opportunity to do it right. Discount South Florida Movers offers relocation services to help you manage the overwhelming task of moving your belongings long distance to your new home or business. We can help with planning, packaging, loading, and any other part of your move that needs assistance. 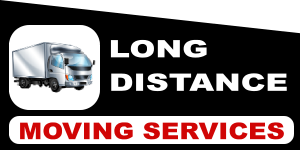 We are Among Florida’s Most Trusted Long Distance Movers. Between states or between continents, Discount South Florida Movers professional team of moving experts will get you there with efficacy, flexibility and courtesy. No two moves are alike, and neither are the means to get them done right. We provide our customers with choices to meet their schedule and budget. Choose from a variety of services that offer shipping designed specifically to you needs. As dedicated cross country movers since 2001, Discount South Florida Movers has developed a reputation for service and quality. 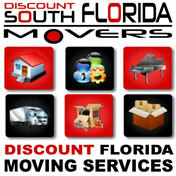 You get the attention of Florida’s best known and most trusted name in long distance moving. Additionally, you get a wide range of moving services that provide value and the price that you expect. You can be as “hands-on” as you like or we can take care of everything if that’s your preference. Contact Discount South Florida Movers today so that we can provide you with a free, no obligation estimate and service that will exceed all your expectations. Discount South Florida Movers offers relocation services to help you manage the overwhelming task of moving your belongings long distance.